Attorney James B. Krasnoo is a seasoned trial lawyer devoted exclusively to litigation with more than fifty-four years of legal experience. Recipient of the state-wide honors of the Edward Duggan Zealous Advocacy Award from Committee For Public Counsel Services in 2006 and the Massachusetts Bar Association 2014 Access to Justice Defender Award and named, since 2010, to the present to the TOP 100 TRIAL LAWYERS in MASSACHUSETTS by The American Trial Lawyers Association , Krasnoo brings his life-long passion for the law to each matter he handles, from relatively minor criminal charges, to first degree murder cases, to the most complex products liability cases. Jim was graduated from Harvard University (A.B. 1961), Northeastern University (M.A. 1966) and University of Chicago Law School (1964). From 1966 to 1968, Jim served as a Special Assistant Attorney General for the Commonwealth of Massachusetts, and, later, as an Assistant Attorney General in Massachusetts. From 1969 through 1973, Jim served as an Assistant United States Attorney. From 1973 to the present, Krasnoo has worked in private practice, handling an extensive variety of criminal cases and a wide assortment of civil matters at the state and federal levels. Attorney Krasnoo has tried more than five hundred civil and criminal cases in state and federal courts. At one point, Jim successfully obtained the then second largest jury verdict in a civil rights action in the United States District Court for the District of Massachusetts. Attorney Krasnoo has argued more than one hundred cases in the United States Court of Appeals for the First Circuit, the Supreme Judicial Court of Massachusetts and the Massachusetts Court of Appeals. Of the nine first degree murder cases Krasnoo has tried, not one defendant he has represented has been found guilty of first degree murder. 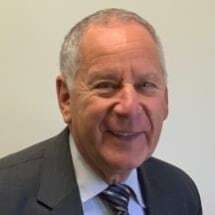 A long-time, highly experienced litigator, Attorney Krasnoo is the author of several publications on legal issues, and he has served on the faculty of several Boston area law schools. Krasnoo taught criminal procedure at Suffolk University Law School, where he taught for several years and was and remains a frequent lecturer at seminars instructing other lawyers. Attorney Krasnoo is admitted to practice law in the Commonwealth of Massachusetts and the State of California. Attorney Krasnoo has practiced in federal and state courts throughout New England. A past president of the Federal Bar Association and of the Lawrence Bar Association, since 2007, Krasnoo has served on the Executive Committee of the Lawrence Bar Association.